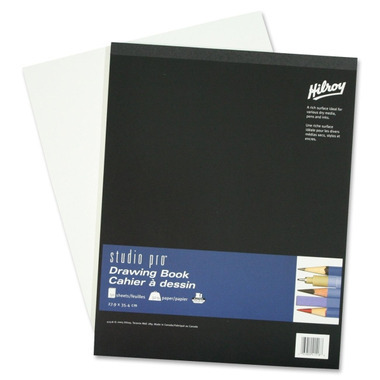 The Hilroy Studio Pro Top-bound Sketch Book provides a rich surface excellent for finished drawings. This premium paper is ideal for use with various dry media, pens and inks. Pages can be clearly removed from book to display final work.